With days left to the kick-off of the Census 2014 exercise, Uganda Bureau of Statistics has moved swiftly to address views of discontent over pay daily allowances that were raised by census enumerators recently. The National Census Coordinator Francis Mashate told a news conference this week that UBOS has added Ushs 5000 to the daily allowances of census enumerators they receive everyday during the ten-day training exercise. This means each enumerator will receive Ushs 100, 000 as transport allowance to facilitate them to attend the Census training exercise. Mashate said the Bureau took the decision to raise allowances because of concerns raised over long distances travelled or high cost of transportation incurred by enumerators to attend daily sessions at Sub-Counties across the country. Mashate added the Census Team decided to provide an extra Ushs 3000 daily as food allowance for each enumerator during the ten-day enumeration exercise. The new development means that enumerators will earn Ushs 330,000 at the end of the exercise, including the Ushs 200,000 in honorarium. The increment means UBOS will spend an extra Ushs 5 billion out of its Census budget. 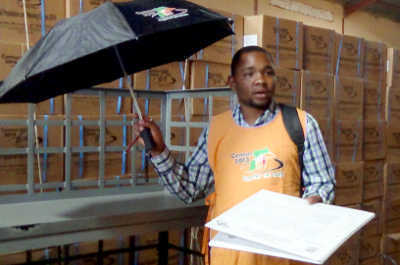 Mashate assured the 100,000 enumerators and census supervisors that have been recruited that they will receive their pay the moment they submit well completed census questionnaires to the sub-county census coordinator. Meanwhile, UBOS has announced it set aside a total of Ushs 40,000 for each local council chairpersons around the country to facilitate them in door-to-door mobilisation of local leaders as well as showing the enumerators the village boundaries. Apart from enumerators and local leaders, UBOS set aside Ushs 150,000 for each LC 3 chairperson as allowances for their work during the ten day exercise that starts on Thursday Aug 28 and ends September 06, 2014. Meanwhile Mashate urged all Ugandans, especially the working class to leave behind basic information regarding their families’ bio-data as well as economic activities so as to facilitate the work of enumerators in the absence of the family head.